The llama is double coated with a finer undercoat, which protects from heat and cold and hairy outer coat. The structure of the hair is semi-hollow which lends itself to excellent insulating properties. The staple length of the llama is usually between 3-8 inches. 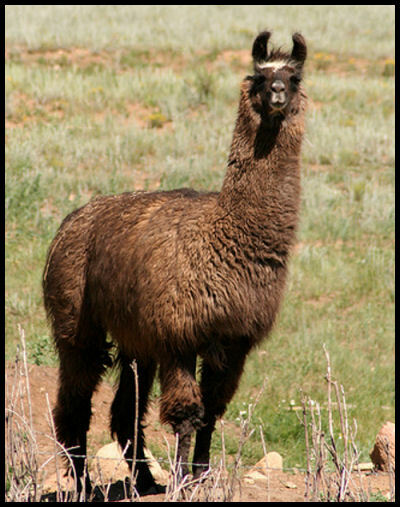 Llamas produce a medium to heavier weight wool with a micron count ranging from 16-45. It is important to remove the long, heavy guard hairs during processing in order to achieve a finer finished product. Llama fiber tends to be slippery making it tricky to work with in a 100% yarn and can be textured, smooth or fine depending on how it is spun. Blending llama fiber with other fibers, such as wool, makes it easier to work with especially for beginning fiber artists because it then becomes less slippery and has less static. Llama can be used in a number of products like garments, blankets and rugs.